Keep the toys, Santa. We just want the lovely Maggie & Sparrow Santa sack! 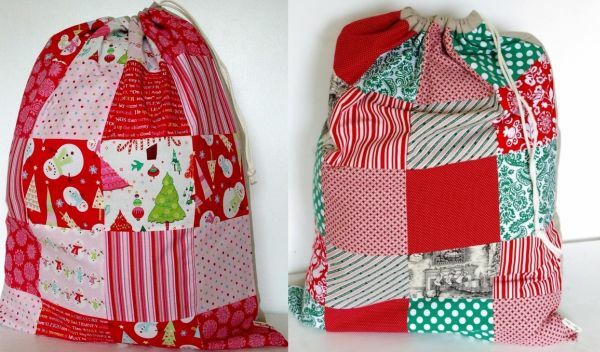 Patchwork Santa sacks will give Christmas a very special vintage feel. 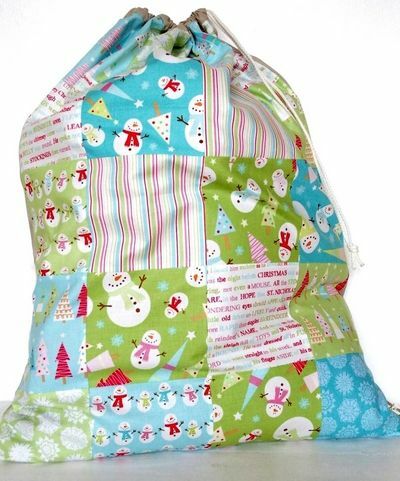 Featuring all sorts of carefully selected festive fabrics – Frosty the Snowman, candy stripes, Christmas typography and Christmas trees, each drawstring sack is fully lined and roomy enough for all sorts of surprises. Buy one now for your baby and know that there will be many happy Christmas Eves when the Santa sack is left out in anticipation (I put out my Santa sack every Christmas Eve until I left home at age twenty-three – as my mum always said “Don’t believe, don’t receive!”). Santa sacks are $84 each and available directly from Maggie & Sparrow. While you are there, be sure to take a peek at the superb bespoke patchwork quilts also available.